I’m very much looking forward to half term. Hopefully, it will be an opportunity to catch up on some reading and a chance to see friends as well as, of course, celebrate St Valentine’s Day in my usual fashion with a microwave meal for one. 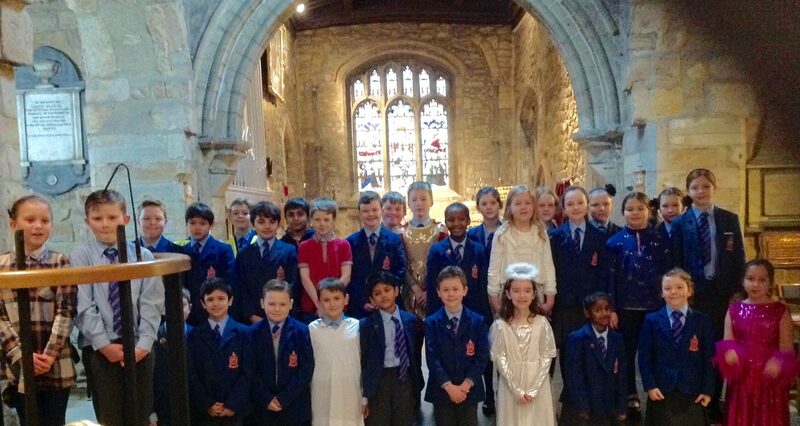 The children in Year 4 produced a wonderful church service about St Valentine’s Day this week and it was great to see the Year 3 children in attendance too. I’ve just spoken to the Year 3s after their games lesson in the P&S School and it was wonderful laughing together about their inability to catch and their penchant for falling over! Sport is important and taking part is the most important element. Thankfully, we have time to work on the skills of the younger children, our stars of the future. Currently, the pupils must wear their school shoes when in PE kit in school. I’ve never been a fan of this look – white socks and black shoes is such a throwback to the 80s – so pupils can now wear their trainers when wearing their tracksuit bottoms. Teachers have been told to set 1.5 hours of compulsory work per subject over the holidays. The pupils can do more and we should be encouraging a culture of independent learning as we prepare the children for the demands of a post 16 education. Perhaps you can agree a work schedule with the children in advance which you then put on the fridge door. This can help to avoid constant nagging: you merely need to glance at the agreed schedule when things are not going to plan. I know, easier said than done but it may be helpful. This schedule should also include significant rest periods when the children can enjoy time away from their books. Balance is so important and the children will work more effectively with clean air in their lungs. Try and encourage the children to adopt a sensible working pattern too. I received two emails beyond 11pm this week from pupils asking for help with their Maths. I was in bed – they should have been too! Please do support the PTA Ball and Fashion Show, details of which are available via this site. Both events will bring our community together, just in different ways. Many thanks to all the parents (I nearly said mothers … come on dads) who are helping to make these events possible. Details of this annual event are attached. I know it has been a great success in previous years and we look forward to having a bumper number of pupils attending. We’ve tried to keep the cost down but, I’m afraid, the strength of the pound (or lack of it) is not helping. I hope the children have a wonderful half term and you manage to enjoy some family time with them.